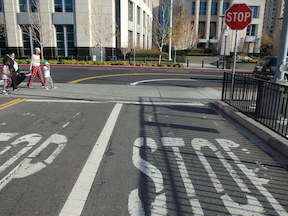 Posts about re-creating the street grid system in downtown and midtown Sacramento, which was severed by Interstate 5 and the Downtown Plaza mall, is handicapped by one-way streets, and can be enhanced in areas which never were gridded such as the railyards. 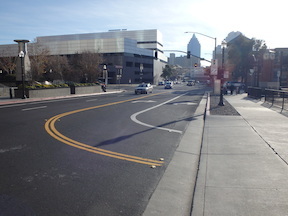 Traffic circulation, for everyone, is handicapped or prevented by an incomplete grid system in downtown and midtown Sacramento. Three recent posts have addressed this issue, I’m thinking about several more, and several posts over the last year were also on the same topic. So I created a new category for the Getting Around Sacramento blog, re-gridding Sacramento. Re-gridding is an awkward phrase, but I haven’t come up with a better one yet, so I’ll use it for now. SACOG in the 2013 funding round allocated $9M to the Riverfront Reconnection project in the City of Sacramento. This phase extends 2nd Street from Old Sacramento to Capitol Mall, providing an easier access to Old Sacramento, and also adds sidewalks to O Street and improves sidewalks and bike lanes on Capitol Mall between 3rd Street and the Tower Bridge. 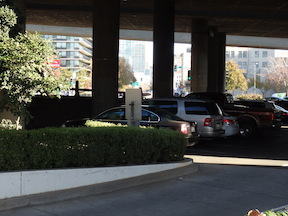 The overall purpose is to create or restore connections between downtown Sacramento and Old Sacramento which were severed by Interstate 5.